In lieu of flowers, memorials to the Kimissis Tis Theotokou Greek Orthodox Church have been suggested. Anton S. Alecos, age 88, passed away on his birthday, Wednesday, February 14, 2018 at Ascension All Saints Medical Center. He was born in Platy, Greece, February 14, 1930, son of the late Sava and Anastasia Alecos. 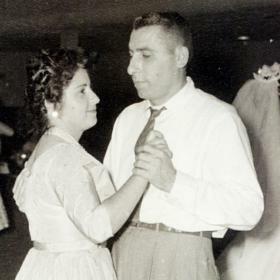 On November 5, 1950 in Platy, Greece he was united in marriage to Ann Merzanidou. 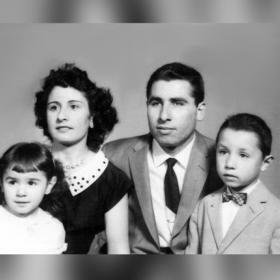 They immigrated to the United States in 1956. Anton was employed by Rainfair Inc. for twenty-four years, retiring in 1981. 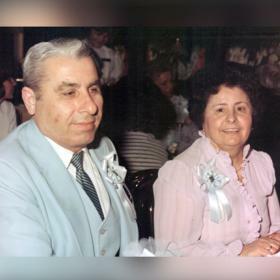 He was a longtime member of the Kimissis Tis Theotokou Greek Orthodox Church and AHEPA. Above all he was devoted to and cherished time with his family. 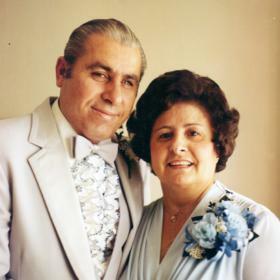 He will be dearly missed by his loving wife of sixty-seven years, Ann; his children, Sava (Paula) Alecos, Heidi (Robert) Domanik; his grandchildren, Robert Domanik, Anthony (Collette) Domanik of Mokena, IL; his great-grandchildren, Corban and Alethea Domanik; sisters-in-law and brothers-in-law, Phyllis Alecos, Maria (Sava) Telikizogliou, Kalliope (George) Papazoglou, Tasso (Sophia) Merzanidis; nephews and nieces, Jimmy Alecos and his daughter Zoie, Ted (Charlene) Alecos, Effie (Steve) Papanastasiou and their children Alex and Anna, Michael (Heidi) Papazoglou and their daughter Kerygma, Tony Papazoglou, Christine (Chris) Dunkle and their sons Peter and Thomas; many relatives in Greece and many dear friends. In addition to his parents he was preceded in death by his brother, James Alecos and nephew, Spiro Alecos. Funeral services will be held at the Kimissis Tis Theotokou Greek Orthodox Church, 1335 South Green Bay Road, Saturday, February 17, 2018, 12:30 P.M. with Rev. Father Athanasios C. Pieri officiating. Interment will follow at West Lawn Memorial Park. Relatives and friends may meet with the family Saturday at the church from 11:30 A.M. until time of service at 12:30 P.M. 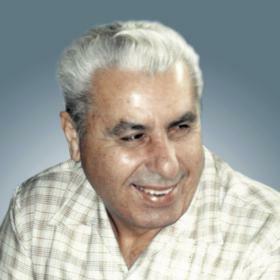 In lieu of flowers memorials to the Kimissis Tis Theotokou Greek Orthodox Church have been suggested. Anton’s family extends their sincere gratitude to Dr. Paap, Dr. Attaya, Dr. Papanastasiou, nurses on the fifth floor, and hospice nurses on the third floor at Ascension All Saints for their loving and compassionate care.